1 YRS Shaoxing Kaixiu Emb. 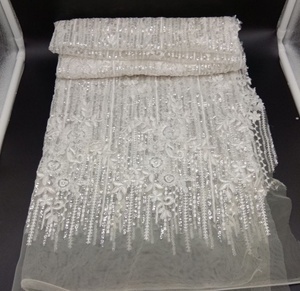 Textile Co., Ltd.
3D high density sequin 3+5mm embroidery on nylon mesh fabric for wedding dress 2018 top sale in the Europe market. High density hanger sequins embroidery on the mesh. 2. HIGH QUALITY We inspect the embroidery fabric one by one meter, we also get the OK100 , SGS or others certifications. 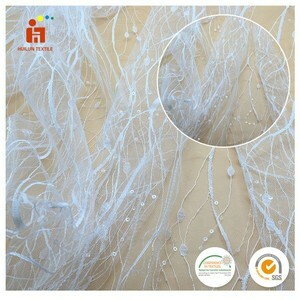 Alibaba.com offers 75,029 sequins embroidery fabric products. 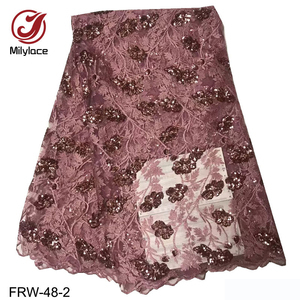 About 24% of these are lace, 7% are 100% polyester fabric, and 6% are embroidered fabric. 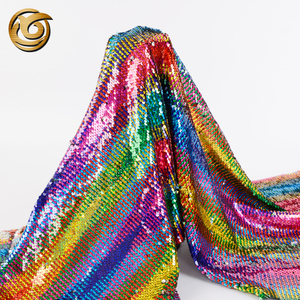 A wide variety of sequins embroidery fabric options are available to you, such as eco-friendly, water soluble, and elastic. You can also choose from embroidered, knitted, and woven. As well as from mesh, voile, and organza. And whether sequins embroidery fabric is 100% polyester, 100% cotton, or polyester / cotton. 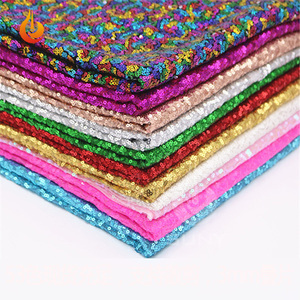 There are 75,029 sequins embroidery fabric suppliers, mainly located in Asia. 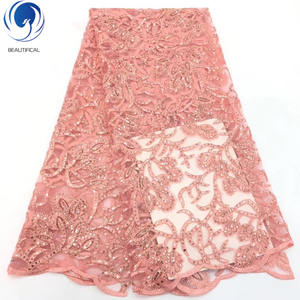 The top supplying country is China (Mainland), which supply 100% of sequins embroidery fabric respectively. 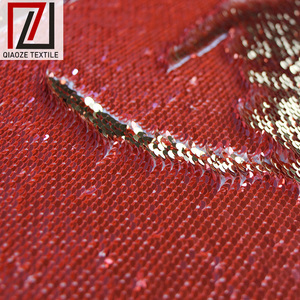 Sequins embroidery fabric products are most popular in North America, Eastern Europe, and Oceania. You can ensure product safety by selecting from certified suppliers, including 2,627 with Other, 739 with ISO9001, and 367 with TL9000 certification.